Esther has the kind of story they make movies about. Her mother was an alcoholic, her father, a two-time murderer. All odds were against her ever becoming a successful, well-rounded woman. But…God intervened in her life. 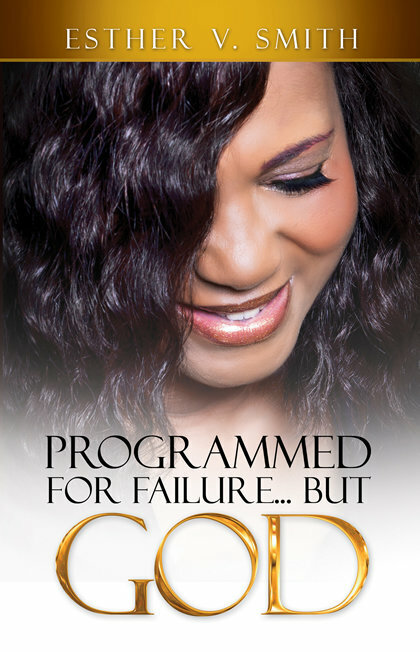 Today, Esther is an international gospel music singer, teacher, and speaker. Esther V. Smith is a gospel music veteran who has recorded with renown producers Dr. Mattie Moss Clark, Marvin Winans, Fred Hammonds, Michael Brooks, and Tim Bowman, to name a few. She is a counselor and confidant to numerous bishops, pastors, and high-profile recording artists and the official National Mother of two large fellowships. An ordained minister, she is a loyal member of International Gospel Center in Ecorse, MI. Evangelist Smith and her husband, Sonny, have four children, and live in Michigan.